These aren’t solutions, and you should laugh at them a little bit too. If you are looking for solutions to problems, here’s a few ideas. One of the first things you can look into on the Mac OS is called Parallels. Mind you, we’re not suggesting to jump right into virtualization right off the bat when you do have a problem on the Mac OS. By all means, troubleshoot the problem first. Virtualization is something to look at when you need to run Windows applications on a Mac. Another situation that virtualization makes sense, is for those of us who have been using Windows for a long time and are having trouble making the adjustment to the Mac OS. It can be a little bit different using Mac when you’ve been using Windows for so long. 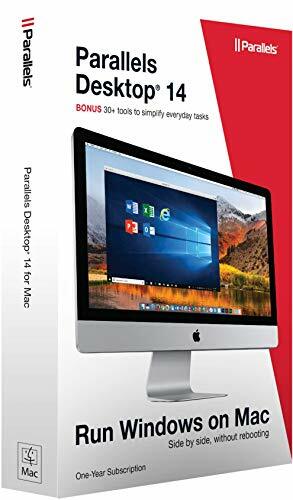 One form of Windows virtualization on Mac is called Parallels. This is an easy way to use Windows inside of Mac OS. It does not require you to have a lot of knowledge on Mac or on Windows in order to get it to work – it’s mainly as simple as installing an application. So, as long as you can install an application, you can run Windows virtualization inside of a Mac OS. Of course, there’s compatibility issues with all of these things too. Parallels (like any application) will run better on some Mac operating systems than others. What if I don’t need to run Office – why would I need to run Parallels? Say you need to run Internet Explorer. Ever notice how you can’d do that on Mac OS? And why might you need to run Internet Explorer, you may ask? Good question. Say you’re a developer, and you’re developing an application, or a website. You need to see how the website or application works, how it feels, how it looks on other browsers then what is provided solely in the Mac OS – which is usually Safari. Not everyone uses Safari – just like how not everyone uses Internet Explorer. However, there’s no way to get Internet Explorer to work in Mac OS. So if this is a requirement for you, for development purposes or other, Parallels may be a good solution. You could also look into VMware Horizon, which is another virtualization solution to run another operating system inside of Mac. We’ll talk more about that in a future post.